The Olympus FVMPE-RS Multiphoton system is an upright microscope utilising dual pulsed two-photon far-red lasers for deep tissue imaging. The system also includes a resonant scan head allowing for extremely rapid imaging for tracking cell migration in living tissue. The Olympus system is capable of imaging a wide range of endogenous and antibody labelled samples and generating second harmonics of unstained structures in whole tissue. The system also has special objective lenses designed to image cleared tissue to image up to 8 mm into organs. 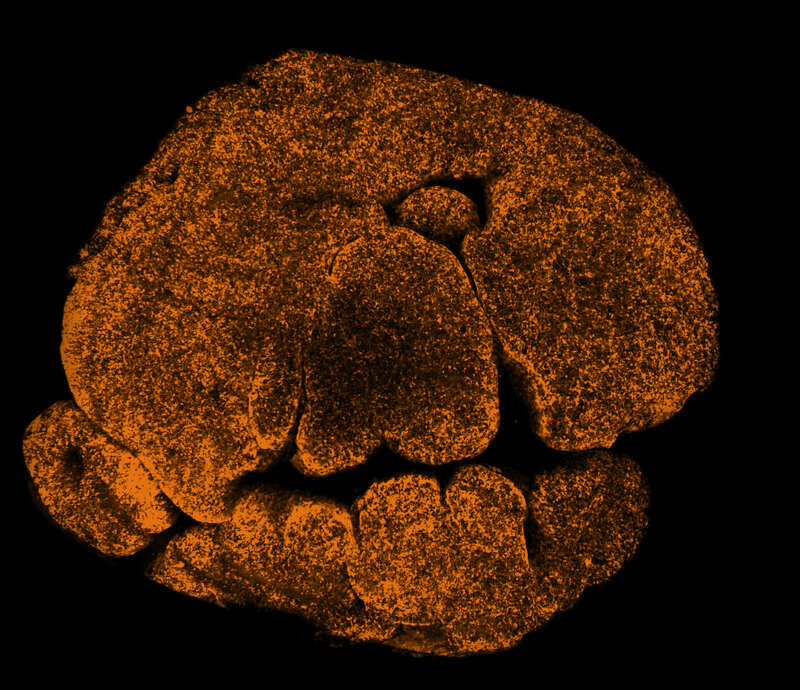 The system is compatible with most samples but is ideally suited for preclinical models and large tissue imaging, giving scientists a chance to image deeper and over prolonged periods of time. 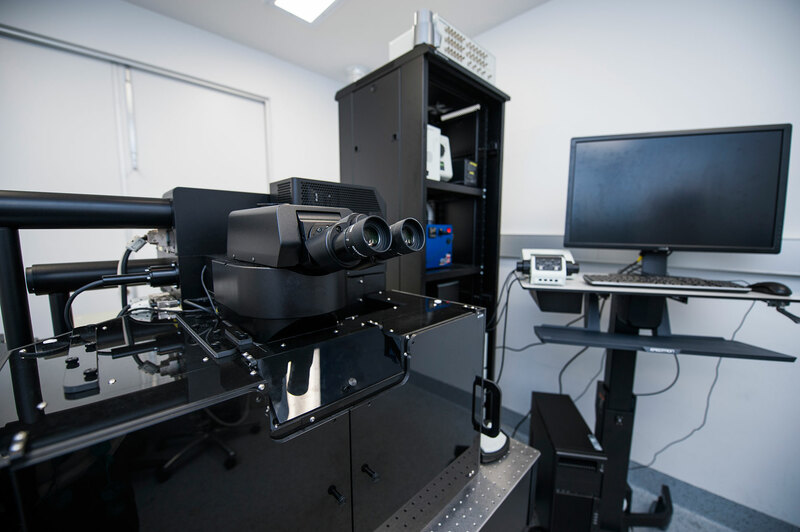 The system has a structured illumination microscopy (SIM) scanner, allowing for simultaneous imaging with one laser while using the other laser for photo-conversion or cell-ablation of small areas. The MATL (Multi-Area Time Lapse) feature allows for highly customisable experiments of multiple areas. The deep focus mode allows users to choose between depth of imaging and optimal Z-resolution. 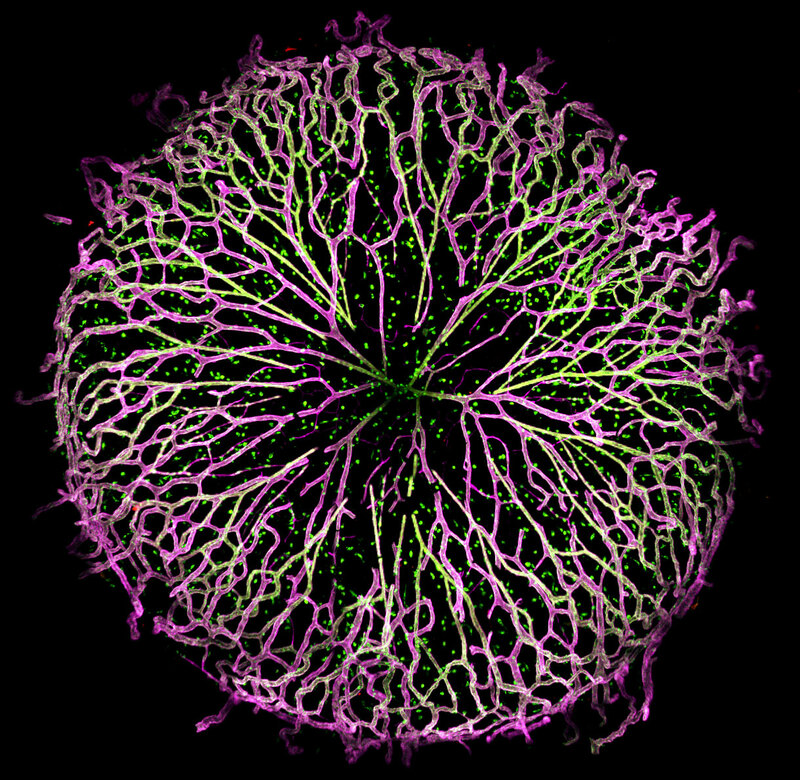 Stephen Mieruszynski describes his 3D rendering of a developing eye.